Submitted photo The Klines will perform a free Brown Bag Concert at the Art Center from noon to 1 p.m. Wednesday. ELKINS — The Klines will perform a free Brown Bag Concert at the Art Center from noon to 1 p.m. Wednesday. The public is invited to bring a lunch and enjoy the music. “Carrie and Michael Kline live and breathe Appalachian culture and music. Their voices carry the songs with truth and authenticity, without a hint of pretense or affectation, and their guitar accompaniments are excellent, just what the songs call for. With their vast knowledge of West Virginia history and culture, and their deep roots in the mountains, you can be assured their concerts are not only a treat for the ear, but a journey into the depth and breadth of the real Appalachia and beyond.” — Magpie, Singing the People’s History. The Klines have performed in Italy, Germany and the United States. They bring their tight mountain harmonies to living rooms, conference centers and concert halls from Maine to Kentucky, New York City and Washington, D.C., Wisconsin, California and Europe. As folklorist musicians they are preoccupied with Appalachian songs. 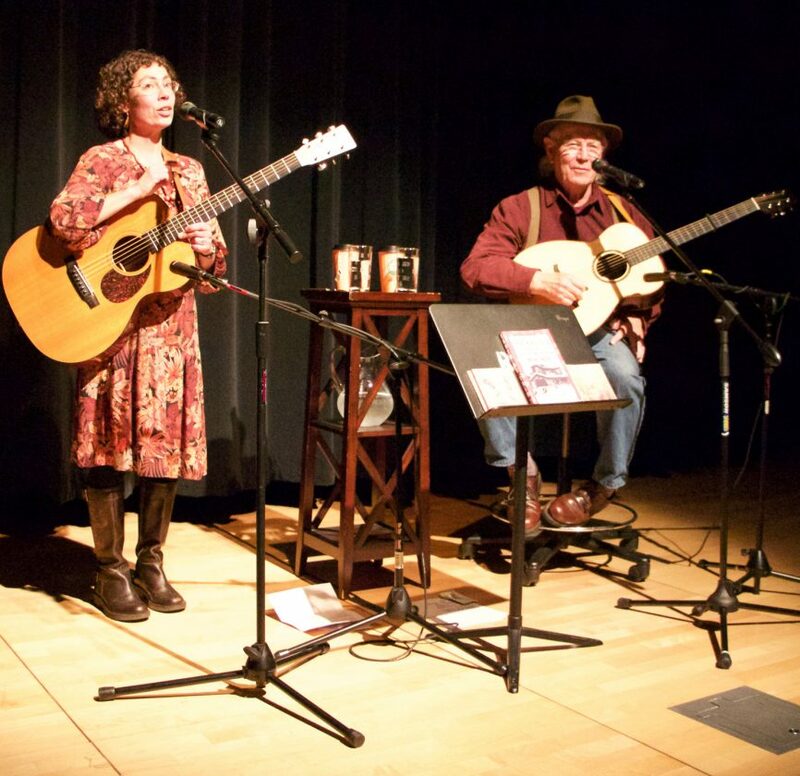 Michael and Carrie Kline of Elkins weave West Virginia stories and folklore with spine tingling harmonies on voices and guitars. To hear them and be invited to join in on a chorus is to be transported to a country church, a one-room school, or grandma’s kitchen. From songs such as “Walk with Granny One More Time” to “Coal Tattoo,” and gospel numbers such as “Turtle Dove” and “Love Like This Was Never Known,” the Klines evoke the times that really matter, time with family and friends, spiritual times, wrapped in a patchwork quilt of vivid images. Kitchen songs. You can smell the biscuits baking.